Altronic digital and solid state ignition systems are the standard the world over. Altronic began production of the solid state Altronic I. ignition system for one-cylinder oil pumpjeck engines in 1966. This line was later extended to four variations covering all stationary engines from 10 to 10.000 horsepower. 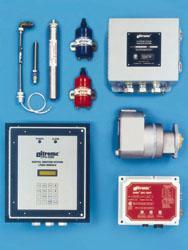 In he mid-1980's, Altronic introduced ignition systems based on digital circuits. These provided greater timing accuracy, the ability to change ignition timing electronically, and useful diagnostic information for the engine operator. Today, Altronic digital ignition systems are the OEM standard used by most stationary gas engine manufacturers worldwide. 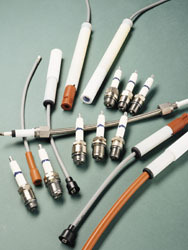 Altronic also produces a line of ignition accessory items including FLASHGUARD industrial spark plugs and spark plug leads, specifically designed for heavy-duty continuous operation. Altronic's digital instrument line began in the late 1970s with the industry's first digital annunciator, which replaced up to 32 electromechanical relays as indicators of alarms on gas compressor. This line now includes tachometers, hour-meters, pyrometers, and microprocessor-based instruments for monitoring pressures, temperatures, speed and ignition timing. In addition, engine air/ fuel ratio controls are available.